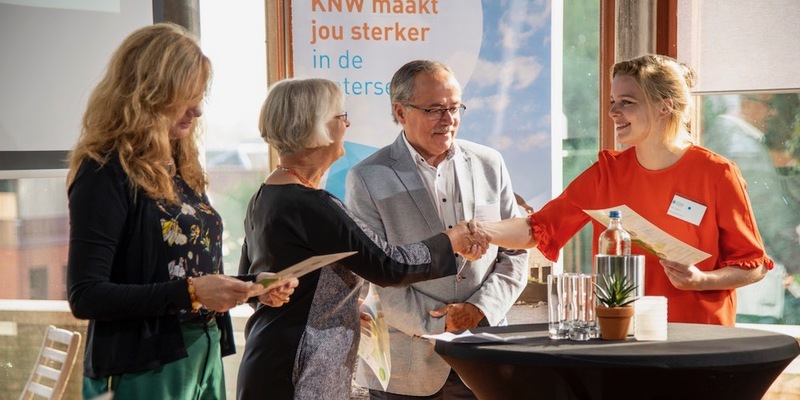 Lieke Coppens (right, Nelen & Schuurmans) hands over the Facts & Values ​​on behalf of the Green Deal to Harriët Tiemens (left, alderman of the Municipality of Nijmegen), Josan Meijers, (deputy of the Province of Gelderland) and Matthieu Gremmen (acting dike reeve of water board Rivierenland). 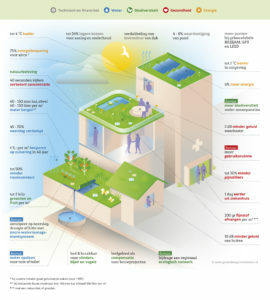 The infographic of Facts & Values ​​on green-blue roofs goes viral since September 19. 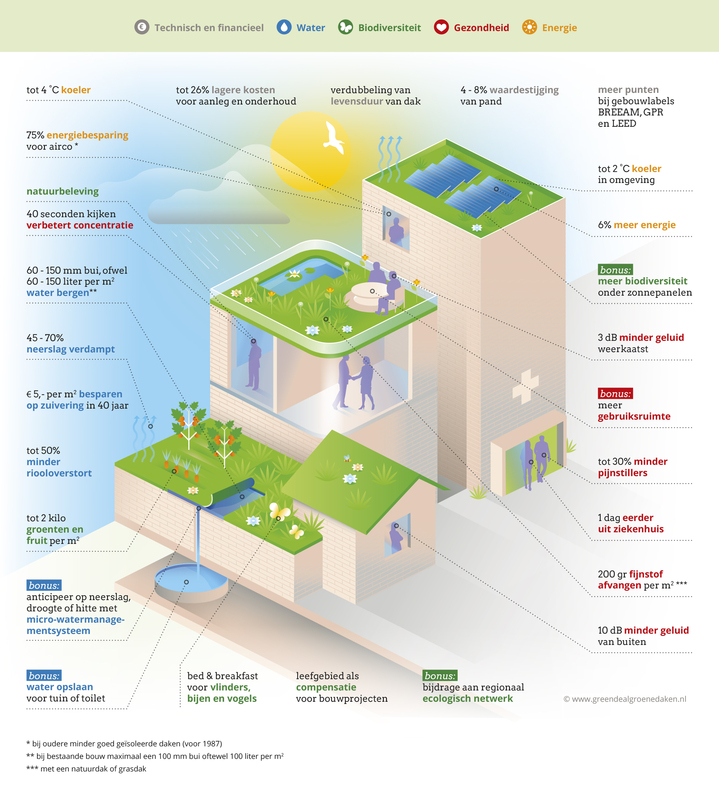 Together with the Green Deal on Green Roofs workstream, NextGreen translated the quantitative benefits of green roofs into an infographic. The costs and water savings of four types of green roofs Sedum roof, Nature roof, Garden roof and Green and Blue roof are also included. The Green Deal on Green Roofs (GDGD) factsheet was supervised by NextGreen and shows the many advantages of a Green and Blue roof. A green roof cools down and lasts twice as long. Water storage, biodiversity and extra outdoor space. The factsheet Facts & Values ​​Green-Blue Roofs shows roof performance as quantitatively as possible, and is based on thirty scientific references. With the factsheet, the Green Deal wants to enhance the dialogue between all involved stakeholders of green roofs, with the aim to exploit all benefits in a joint business case. Onwards to more and better green roofs. The workstream that compiled the factsheet consists of the Green Deal on Green Roofs partners municipality of Rotterdam, Nelen & Schuurmans, Van der Tol and Vereniging Bouwwerkbegroeners. They did this in close collaboration with STOWA / COP Measuring and Monitoring green-blue roofs. For the factsheet and all research used check the Facts & Values ​​page of the Green Deal Green Roofs (in Dutch).